Think Long Term- Make in law suites. 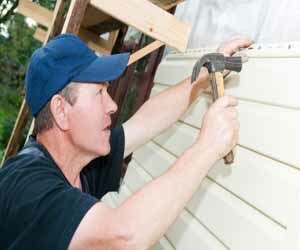 Many families are renovating their basement and attic spaces to accommodate the aging baby boomer population. Make your home multigenerational. Add some color and design to your house by making each suite themed. Maybe beach, metro or modern? What’s your style? Make it to the outdoors- Although the recession has decreased the opportunities for difficult outdoor renovations, that doesn’t mean your front and backyard could use without a face lift. With this upgrade, family and friends can enjoy your home inside and out. Try professional landscaping, pressure washing, hardwood decks and bright fences. What’s in your kitchen?- Upgrade to a custom kitchen and make more space for entertaining. Make sure to get rid of your work space in the kitchen. And while you are at it, try customizing the bathroom too! These trends are sure to help you begin brainstorming on how to transform your dream home into a reality. With simple renovations, you are sure to make simple moments even more memorable. If you’re looking for more design inspiration, check out Atlanta real estate design trends on Atlanta real estate forum.